For as long as she can remember, Sabine has lived two lives. Every 24 hours she Shifts to her ‘other’ life – a life where she is exactly the same, but absolutely everything else is different: different family, different friends, different social expectations. In one life she has a sister, in the other she does not. In one life she’s a straight-A student with the perfect boyfriend, in the other she’s considered a reckless delinquent. Nothing about her situation has ever changed, until the day when she discovers a glitch: the arm she breaks in one life is perfectly fine in the other. With this new knowledge, Sabine begins a series of increasingly risky experiments which bring her dangerously close to the life she’s always wanted…But just what – and who – is she really risking? This is the first book I have read by Jessica Shirvington (I own all four books in The Violet Eden Chapters, but haven’t read any), and I loved it! 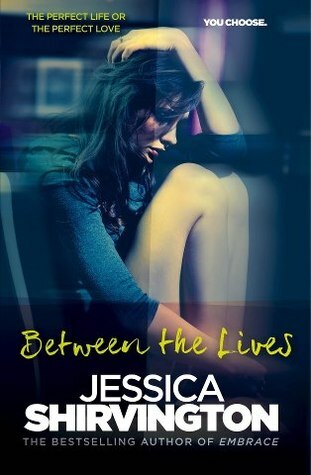 Between the Lives follows Sabine as she navigates through her two separate, polar opposite lives, and tries to find some semblance of normalcy and make peace with her unique situation. At first I thought that Sabine would enjoy having two lives: everyone always assumes the grass is always greener on the other side, but she is uniquely placed to test that theory. But the more time I spent with her, the clearer it became that this kind of existence would fraught with difficulties and pose a threat to a person’s emotional and psychological well-being. Sabine has had to go through everything twice. This makes her a lot smarter than your average teen, and she’s wise, but living out her teen years twice and finding love in one life forces her to consider what happens next – two colleges, maybe two degrees, falling in love with two different people, having two families. It’s been building for many years, but now she’s seriously considering trying to manipulate her situation so she only lives out one life: by taking one of her lives. Despite first appearances, Between the Lives isn’t about the differences in Sabine’s worlds, but the similarities. She’s loved and appreciated in both lives, and although her two families show it in very different ways, I really like that she has a wonderful support network in both universes. The most poignant aspect of the novel is Sabine’s struggle to relate to people. She has friends and family, but she’s desperate to find someone like her, someone who understands. And when Ethan comes into her life, she finally has a chance. This novel is a sensitive, thought-provoking examination of life and what it means, and Shirvington explores the human psyche delicately and with a sense of reverence. Between the Lives is full of elegant prose and vivid imagery, it’s easy to love Sabine and imagine ourselves in her shoes. The worlds she lives in are our own, her fears are buried within us, her dreams colour ours at night. This is a strong book, riveting, haunting, and emotionally wringing. I can’t say more without spoiling it, but Between the Lives is not to be missed. 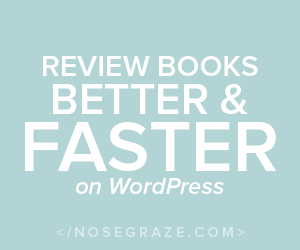 You’ll be hard-pressed to find another book like it, and I think everyone will find something to love within its pages. I can’t wait for this book, it sounds amazing. I have read all of her other books and really enjoyed them and I just know I am going to love this one too.